One thing about cars these days, you want to be as comfy as possible. This includes the manner of driving to which most people prefer to have the automatic transmission to avoid the need to shift gears frequently.But while that may seem like a luxury, it also comes with a price. If your automatic transmission gives way, for sure you are talking bout close to Php 50,000 at the least to have it repaired. It may cost more and it would all depend if you can find one in the market. Another thing about automatic transmission, you cannot afford to see your battery go dead. If it does, you may find yourself in a heap of trouble especially since they cannot be started using the normal jackrabbit start you can push it and instantly release the clutch to start it again. In these scenarios, if your car is an automatic, it would be best to have a series jumper cable in tow just in case you find your battery go dead. 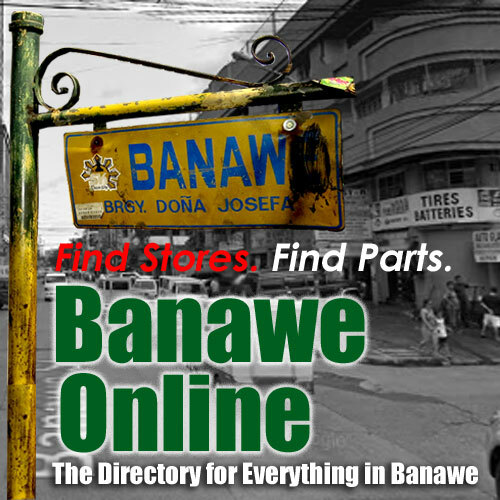 Also, during the rainy seasons, you cannot just go through flooded areas. Unlike the manual transmission vehicles where you have to maintain a certain RPM to go through them, automatic transmissions change gears on their own. That cannot be applicable in flooded areas since you cannot maintain that high RPM due to automatic shift changes. This is not to say that automatic transmission vehicles are problematic. It is just that in these cases, you have to watch out for these scenarios. Either you avoid them or take the risk. My mechanic said the transmission housing of my Hyundai Galloper 1998 has a crack. Seems my option is to have it welded or change the whole transmission. Could you recommend a good welder in Metro Manila pref Pasig area who can repair the alloy or aluminum housing of the transmission? Where can I get good surplus replacements? I think thye transmission is similar to the old Pajeros. These “pains” are just a small price to pay. One word is enough to blow those arguments to smithereens. The Philippine roads are congested and it doesn’t take a motorist to make that observation. Ergo, automatic transmission is a huge convenience. Now why, for the life of me, would I want to pass through flooded streets on purpose? Or allow my battery to go dead? Automatic transmission or not, these activities are something that no sane person would do–on purpose. Naturally, there would always be situations when such problems are unavoidable. Still, these are exceptions, versus the constant that is…. If one uses automatic transmission, walang talo sa singitan. Walang pagod sa traffic. Walang problema sa hanging. This is the same people that voted an actor as president. No wonder. I’m not an expert driver or mechanic but I’ve been driving A/Ts for a while now. But if you want an automatic transmission NOT to shift to a higher gear, say, from 1st to 2nd gear, just move the shift lever to “L”, as shown in the photo you used. Or “1” or “D1” in other vehicles. This stick position tells the car to stay in first gear no matter the engine rpm. I rarely use the lowest shift lever position on any A/T vehicle I drive, but It can be used to drive through a flooded section if you wish to drive through it using the 2000-3000 rpm range. Note of caution: stop the car fully, or slow it down to a literal crawl before shifting to the lowest shift lever position because this move is equivalent to downshifting to “primera” or 1st gear on a manual transmission. There’s also the “2” position, or “D2” in other vehicles — this corresponds to the 2nd gear. Placing the shift lever here tells the car to use the 1st and 2nd gears only. It effectively disables shifting to the 3rd and 4th gears of the A/T. Sometimes there’s even a “D3”, like in our 1995 Honda Accord EXi. 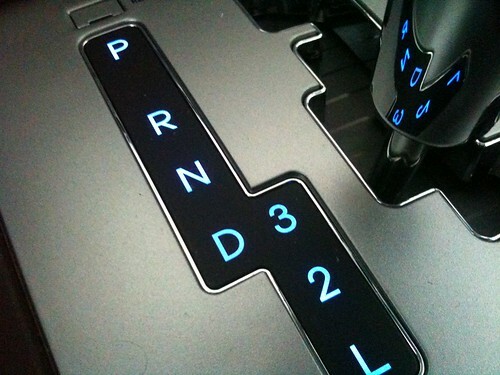 As in shift lever position “2” or “D2”, this allows the car to shift ONLY up to the 3rd gear and no more. In my 1997 Nissan Cefiro, there’s only 1,2, and D. But it has an O/D button (for overdrive) which I turn off if I wanted the car not to shift to 4th gear. Shift lever positions 2 and 3 are useful when I drive uphill or downhill, say, heading to Lian, Batangas via Tagaytay. These allow me to simulate a manual transmission by giving me a way to “downshift and upshift manually”. It is uncontestable that A/T means convenience! Convenience comes with a price of course, but when it comes to functionality all the M/T can do the A/T can also do and more! So, sorry for M/T its NOT the other way around. If a driver knows how to optimize the advantages (all of A/T’s functions) of A/T, then definitely it is preferred over M/T. There has been no reported advantage of M/T over A/T on floods, both were not designed to go through that efficiently. A stalled vehicle due to battery problems would still be stalled wheteher M/T or A/T. Jackrabbit start for M/T and battery booster start for A/T. Problem lies when there’s no battery cable booster for A/T vs. nobody to push the vehicle for M/T. WHATS THE DIFFERENCE? so, you mean, Automatics can still be pushed to start in case of dead batteries? Hi, I just purchased an automatic car but the problem is I don’t know how to operate it properly? Can you walk me through pls when should I start the transmission position – to D,3,2, or L? And when should I use those 4 kinds of transmission? Many thanks. You usually use only D in city and highway driving. 3, 2, and L are used when you want to limit your upshifting. For instance, 3 limits you from first to third gear. This is usually okay with driving while in the suburbs. 2 will limit you to first and second gear. This is good when you’re just looking for space around the parking lot, and when you’re moving downhill. L is when going up long inclines–this will lock your gearbox to first gear. On A/T cars, usually the car will shift depending on speed, so most of the time you won’t have to worry about 3, 2 and L (on most cars there are only 2 and L). D will suffice. But in extreme cases like going up long inclines or engine-braking when going downhill, you would need to set it at 2 or L so that the car will not improperly select a higher gear than necessary. isn’t that 3 or 2 gear in autos consume more petrol when driving around suburbs or looking for parking lot. I just normally use D when driving to parking. am i right? My XL-7 2004 AUTO TRANS …ALLL OK BUT WHEN TO USE D, 3, L, AND WHEN TO ENGAGE O/D overdrive just a button on side of stick, when pressed shows on panel as “OFF” just cant tell what it does. Is it dangerous to use ? Also my car has “cruise “button on the steering – when to use ? somebody help!!!! my e-mail basmeirmohd@hotmail.com the suzuki agents in our area dont know about them much. I have replaced the A/T of my NIssan Premira model 1993 with second hand one. the problem is sometimes the Lever of the A/T getting stuck on the parking position and the car does not START unless I press the brake pedal several time … by doing this action the lever moves from parking to other positions and then the car starts. this is happened several times. Do you have idea about the possible cause and what is the risk if this is continued in this way?